The road-hugging stance, the comfortable and responsive ride, the adjustable ride height and articulation—these are just a few of the reasons you want an air suspension. Follow the lead of professional installers across the country and count on Air Ride Technologies, now known as RideTech, for your complete air suspension solution. 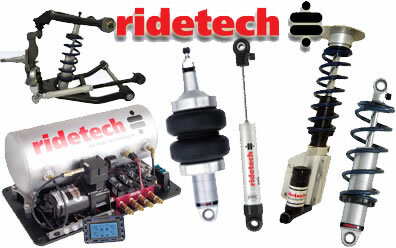 RideTech’s extensive research and development department keeps the company on the leading edge of technology, resulting in systems and kits that are durable, reliable, and efficient.